I got my first taste of the initial installment to the Deus Ex franchise back in college, a short time after it came out. The sheer depth and variety of gameplay in it fascinated me, and no game since (not even its own sequel) has managed to capture the same spark that made the first one so special. Well, I’ve had a chance to run Deus Ex: Human Revolution through its paces. Let’s just see how well Square Enix and Eidos did polishing off this old gem. The visuals in this game are extremely impressive, but not in the way that most games strive to impress. They didn’t go for flawless realism, for instance. Individual elements of the environment are well made, but no attempt had been made to make them photo realistic. The same goes for the characters. They are high quality, but they adhere to their own style rather than trying to push the envelope. The aspect of the graphics that they really excelled at, though, was environmental detail. Right from the opening cinematic there is a phenomenal amount going on around you. A guided tour through a research facility shows off test subjects running on treadmills, experimental augmentations and weapons being tested, and a host of characters who will become very important later on. The detail, if anything, only increases as the game finally begins in earnest. Desks are cluttered with books and items. Copiers, boxes, crates, switches, keypads, computers, and a thousand other things are filling the environment to the brim. In another game this might be notable, but dismissed as garnish. In DX, these details have valid gameplay functions, with any one of those eBooks or PDAs potentially holding key information. Boxes can hide vents, ladders can lead to unsecured windows. Everything is there for a purpose, and it invites you to take your time and really analyze your surroundings. To give you an idea of the detail put into the levels, on more than one occasion I was lost, and actually navigated to my destination via the street signs. These environments, through the shifting settings of the game, do not vary to a wide degree. From the initial city of Detroit and onward to the various settings abroad, you’ll mostly be looking at cramped, grimy examples of futuristic urban decay. That said, this decay and corruption takes on many distinct flavors, from sewers and back alleys to dance clubs and factories. Many of these settings were fiercely reminiscent of settings from the original game, and that isn’t a bad thing. Now, the combination of this detail and grime might make it seem like sifting out the useful stuff from the meaningless would be nearly impossible, but an expertly designed UI takes just enough of the difficulty away to keep it from being frustrating. Basically, anything that is currently interactive is given a distinctive orange glow. Doors that can be opened, computers that can be accessed, items that can be collected, they all have this glow. Finding things that are well hidden still takes diligence and an eye for detail, but you certainly won’t waste your time sneaking over to a computer that is just an inert prop. This combines with the other elements of the HUD to provide you with plenty of excellent and clear info. Enemy position and status is indicated on a radar map, current weapon and ammunition are clearly shown. Health, energy, and even the XP to the next level up is determined from a quick glance to a corner of the screen. Digging into the menus reveals even more work that has been done to streamline the interface, even going so far as to allow you to shut off sub-mission indicators if they are cluttering your screen with way points you don’t care about. Solid, well designed visuals all around. When I start writing about the gameplay of DX:HR, I am faced with a very real problem. If I write about HALF of the stuff that there is to do, it will make this an 800 page review. I’ll thus keep it brief. In essence, DX is a FPS with RPG elements and a heavy stealth focus. Like other games of this sort, you earn points that allow you to upgrade and customize your player depending on how you want to play the game, and experience is rewarded for completing missions and performing various tasks. The way that the game differs from other titles of this form, though, is that whereas other games give you the illusion of choice, letting you build toward different play styles but guiding you toward one or two solutions to each problem, there are dozens of potential ways to mix and match your talents to deal with almost every challenge put before you. It all depends on your tastes, and where you’ve put your augment points. The most basic element in your arsenal of skills is the standard FPS assortment. There is a decent selection of weapons, and individual weapon upgrades can allow you to cater them to your needs by boosting accuracy, reload speed, ammo capacity, etc. Depending on the weapon, you can expect to use the iron sight or scope for added accuracy, or just spray bullets wildly. A bit of searching will unearth a merchant in most areas who will keep you in ammo for the more common weapons, for a price. When groups of enemies begin to cluster, a variety of grenade types are at your disposal to make them regret their decision to team up. If you are the friendly type, you can use gas grenades and cause them to pass out en mass. If you are the more hostile kind, concussion grenades will stun them and make them simple to pick off, and frag grenades will make picking them off unnecessary. All of the usual weapon types are in attendance: pistols, sniper rifles, machine guns, and rocket launchers. Many of them, though, have less lethal counterparts, like the tranquilizer gun and the stun gun. Augmentations exist to help you stabilize muzzle climb, spot targets through walls, and absorb more damage in a fire fight. You can even get a built in weapon system. When people get up close and personal, or when you are sneaky enough to get the drop on them, your augmented body lets you do a precision take down or a retractable blade slice and dice, at the cost of a cell of energy. Augmentations here will let you take down multiple targets simultaneously, and even do a death-from-above ground pound. The energy spent doing such hocus pocus can recharge by itself if you didn’t use a whole cell, and can be topped off with energy bars if you don’t have the time to wait. Let’s say you aren’t the fighting type. Is there still something for you? Naturally. There is hacking. Computers, alarm panels, and door keypads are all hackable. They can have a security rating of 1 – 5, and if you’ve upgraded your hacking skill appropriately, you can hack them all. Hacking is achieved through a mini-game, but not through a glorified game of pipe dream. Instead, an attempt has been made to make it at least partially resemble an actual computer structure, while still remaining challenging and fun. Each system is made up of nodes of various types. Your goal is to get from the IO node through which you entered to the exit node (or nodes). This is achieved by capturing nodes connected to the entry point. Each node makes the nodes connected to it accessible, but every node hacked carries a risk of security getting suspicious and starting a trace. Once a trace has started there is a time limit, which can be paused or canceled with consumable viruses. Special nodes slow the count down, decrease the security level of other nodes, or even give you cash, experience, or augmentation rewards. Upgrades will let you hack more terminals, gain control of cameras, turrets, and robots, and decrease the likelihood of tipping off the IT folks. I’ll tell you this. There is nothing more satisfying than finding the security hub, hacking a bot, and listening to chaos ensue as it slaughters its former masters. Maybe you aren’t a tech guy. In that case, you might be one for stealth. With the proper upgrades, this game easily approaches Metal Gear Solid levels of stealth. Enemies can have calm, alerted, suspicious, and hostile states. All based on what they have seen or heard. You can crouch and hug a wall, turning corners or jumping to the next cover depending on your mood. Upgrades here will give you insight into the location and even the view cones of your foes, let you move silently, and even let you turn invisible. Maybe even THAT isn’t your cup of tea. Well, there is yet another option. You can actually talk things out. Many missions will allow you to talk a person into giving you clearance or giving up info, either through your own intuition or through the use of a personality monitoring and influencing augmentation. This takes the form of a VERY vaguely LA Noire-esque conversation minigame that lets you determine the personality type and persuasion level of your mark, and if you’ve managed to nail down what type of person they are, deploy pheremones to influence them. Aside from the gameplay specific augmentations, there are a few utility ones, letting you run faster, jump higher, lift heavier objects, etc. The real joy of the game is the way that these different play types and augmentations can be used. Stealth experts can find lost PDAs that contain pass codes to access doors or terminals that otherwise would have had to be hacked. Guards that would have to be killed or bribed can be circumvented entirely by hunting down a sometimes FAR out of the way vent or window. Better yet, almost every bizarre augment eventually finds use as a valid solution. That decision to boost your strength enough to tote around refrigerators might have seemed like a bad choice, but once you find a vent with a snack machine blocking it, you’ll be glad you picked it up. Likewise, a power up that cancels falling damage seems like it is just there to save the lives of clumsy people, but then you find an elevator shaft with a sheer drop, and look who can survive that fall to the access panel. Experience bonuses are given for stealthy or hacky methods of working your way through a level in order to balance the fact that mass murderers tend to rack up the points with their rampages. Every 5000 XP gets you a “Praxis,” or augment point, to apply the various refinements described above. These can also be purchased at clinics and even found in the environment, too. Though individual body part damage and the need to replenish health with medipacks have been replaced by the now standard heath regeneration, almost everything about the first game that I loved is back. It FEELS like Dues Ex 1, with the benefit of a decade of gameplay refinements. Things like tutorials that are optional and a handy summary of all useful intercepted info, for instance. If there are any complaints I might have with the gameplay they would be as follows. The context sensitive “use” button is also the reload. Generally not a problem, but when you try to grab a ladder to escape a mob of guards and accidentally enter a 10 second long heavy rifle reload, you’ll understand the issue. The only other problem is that sometimes the game throws you into a situation that a non-combat oriented character might not be able to realistically survive. Being able to move silently and hack into the pentagon won’t help you when the game drops you out of a cut scene with a super soldier pointing his gun at your face and nary a hackable turret in sight. There was one boss fight that forced me to decrease the difficulty level in order to win, but it is to the developer’s credit that on-the-fly difficulty adjustments are even an option. As usual I can’t say that the audio made much of an impression. The music was suitable, the voice work was above average, and the sound effects fit. The fact that foreign people frequently speak their native language was a nice touch. Also, if you pay close attention, conversations between NPCs will often hint at alternate paths or the existence of misplaced pass codes, so that’s neat. The only thing that stood out as a little goofy was the voice of our hero, who aside from LOOKING just like Neo from the Matrix, sounds disturbingly like Clint Eastwood. The generic Gruff Van Tough voice is one that I feel has worn out its welcome in video game circles, but the performance was good enough that even that didn’t bug me much. You play as Adam Jensen, an ex-cop in a futuristic Detroit who, after a near-fatal incident, is rebuilt using high tech cybernetics developed by his employers, who run a massive corporate conglomerate. Yes, the initial plot is almost precisely that of Robocop, a fact that is not overlooked by the game makers. If you stalk around stealthily enough, you’ll eventually hear a pair of cops discussing that very film. The tale quickly gets more complex, however. The setting is a world where the general public now has access to cybernetic enhancements that can make them better at nearly any task. Everyone from construction workers, to soldiers, to prostitutes can get job-specific upgrades. This comes at a price, however. The human body quickly begins to reject these implants unless supplied with regular injections of an expensive anti-rejection drug. The fact that many people received their augmentations against their will, either to guarantee future employment or to save their lives, means that there is a whole swath of the populous who must cough up potentially ruinous sums of money to keep themselves from being killed by the very augmentations that made their current life possible. You work for Sarif, an inventor and researcher who is responsible for the best and most successful augmentations out there. Following the break-in that cost you the bulk of your humanity, he puts you to work finding those responsible. It is a task you take extremely seriously, thanks to the fact that the very same attack cost you more than just your arms and legs. The ensuing investigation will uncover corruption, gang violence, anti-augmentation (pro-purity) terrorists and activists, and much more. How deep or how shallow the story is is based entirely upon how deeply you dig into it. Ebooks outlining histories and emails expanding motivations and relationships are all there to be found, if you look for them. The depth, the detail, and the genuine choice and variety of this game all bring to mind the best parts of DX 1. The slickness of the UI, quality of the design, and overall execution all serve to bring it into the modern age. Spectacular, engaging, and fun. 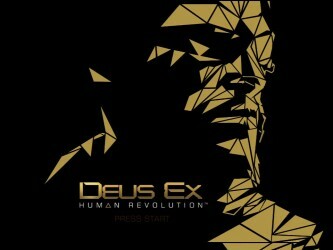 9.8 / 10: An updated installment to the Deus Ex series that manages to capture everything that made the original so great.